Thanks to modern engineering technologies, there are natural stone tiles and processed stone to suit any style and budget. Creating a stone floor has never been easier. As tiles come in a standard range of sizes and can also be cut to fit, it’s easy to create a unique and beautiful stone floor. Tiles let you combine different stones or several colours from the same range to create a pattern that suits you. While stone floors are traditionally uniform, stone tiles can form almost any pattern. In open plan kitchen areas, tiles in a contrasting colour can be used to delineate the edge of the kitchen, or to create a visual boundary. Many people like to have steps and edges in a different colour to make them more visible. If you’re restoring a period property, then you can recreate the elegance of a bygone age. Marble or limestone bathroom tiles are a great way to create a practical family room with a sophisticated touch. Depending on the structure of your home, a traditional stone slab floor may not be suitable. If you require access to underfloor areas, perhaps to maintain pipes or cables, then a slab floor can be inconvenient. Stone slabs can also be relatively heavy, which can cause problems for upper storeys and weaker structures. Stone tiles provide the same durable, practical and beautiful effects as stone slabs, but at a much lower weight per square meter. As a result, they’re an excellent choice for upper floors, as well as walls and even work surfaces. As an example, limestone bathroom tiles can be used to cover the floor and the walls, creating a sealed wet room and preventing damage to the structure of the building. It’s important to choose the right stone and finish for each use. 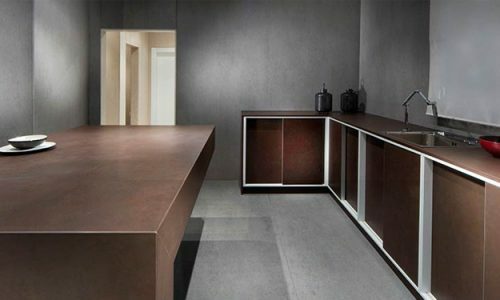 As stone is so hard, it takes a highly polished finish very well. High gloss marble can be seen in palaces and monuments from Blenheim to the Taj Mahal, but it can also be slippery. Subtle ridges, a rougher texture or a less polished finish can all make stone floors safer, particularly in a damp bathroom. Matching stone is another consideration. Natural stone can vary considerably, even within a single slab. As a result, it’s nearly impossible to create a visually seamless floor. Using tiles avoids this problem, as the grouting provides a natural visual break. Tiles also give you the chance to mix and match, creating a simple or complex pattern. Have you seen our factory? Cutting and finishing our own stonework is just one of the ways that Surrey Marble and Granite stand out from other granite companies. We’ve worked on over 14,000 projects since opening our doors in 2000, and are proud to consistently offer a high quality items and a quick turnaround.